The object of Plenty O'Riches is to obtain a winning symbol combination by spinning the reels. 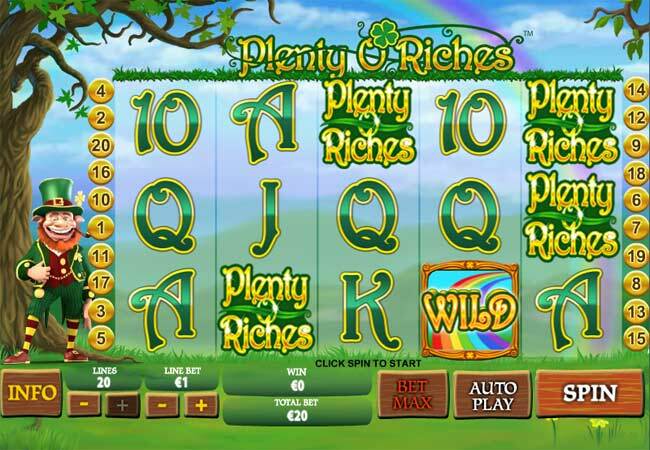 This is a new game from Playtech that we hope will bring you the luck of the Irish. This game has and Irish wonderland theme with great irish music and a dancing leprechaun to keep you entertained. There are 5 reels and 20 paylines and two great bonus features. Each win or entry into the bonus game will see the leprechaun dance and get excited. Spin the reels and get the four leaf clover for big winnings. The first bonus game is the Wishing Well bonus. 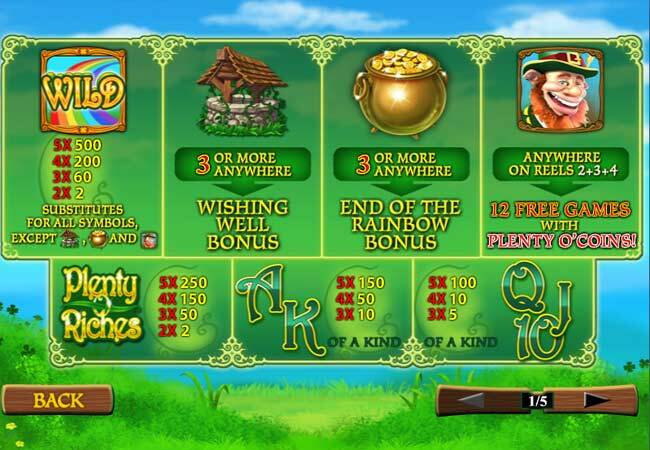 get 3 or more wishing well symbols scattered on the reels and you trigger the bonus. The bonus starts and you must catch the falling coins as they pour from the wishing well. The meter at the top of the screen will rise as you catch the coins. Another bonus game is the END OF THE RAINBOW BONUS. Spin 3 or more pots of gold in the main game and the bonus is triggered. The leprechaun starts at the bottom of the path and must progress up the path collecting prizes. Keep collecting until the COLLECT pot is reached. You win the amount you have collected. 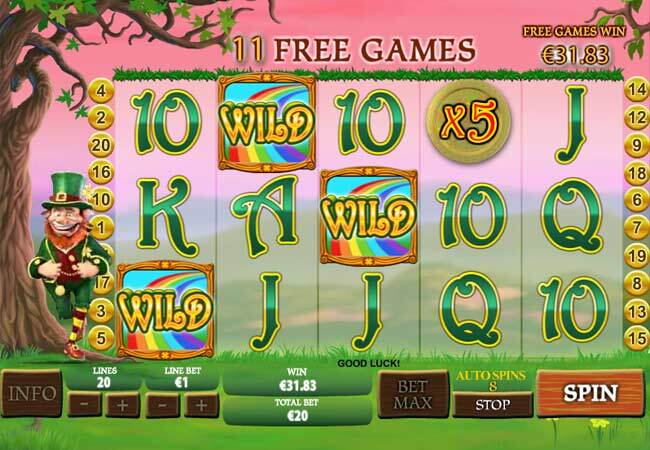 With Plenty O Riches there is also a free spins bonus, Spin the happy Leprechaun on reels 2, 3 and 4 and you will be awarded 12 FREE GAMES, these 12 free games also come with extra wilds and the PLENTY O'COINS function.